Buy tickets for our January 13 screening! Marv Newland is a legend in the world of animation. His first film Bambi Meets Godzilla (1969) became a sensation, even in the days before the Internet made seeing it as simple as a visit to YouTube. Over the past four decades, he’s created his own films and worked on other animated work (Barbapapa, promos for MTV, Sesame Street, YTV, MuchMusic, and Nickelodeon, among many others), picking up a slew of awards along the way. His latest film CMYK will be fascinating to anyone who’s ever worked in the world of print design. 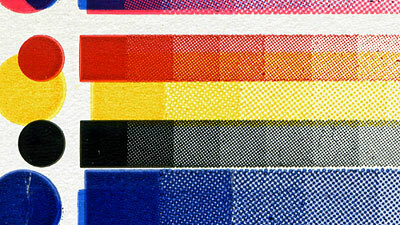 Named for the four colours that make up the printing process (cyan, magenta, yellow, and black), this experimental short was painstakingly assembled by photographing printers’ registration marks and animating them to the music of Vancouver composer Lisa Miller, played by the acclaimed Quatuor Bozzini string quartet. Official site of animator Kunal Sen, who worked on the film with Newland.